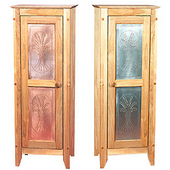 A great selection of Hutches, Jelly Cabinets and Buffet Servers in various styles and finishes. Choose from a wide variety of brands including Home Styles, Catskill Craftsmen, Powell, Mix & Match and Bradley Brand Furniture. 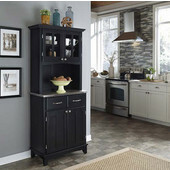 Add a Hutch or Cupboard to your kitchen area for an attractive storage solution. 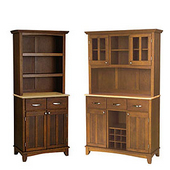 Mix-n-Match Cupboards and Hutches offer open and enclosed storage with double door storage and lower storage. 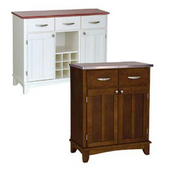 Available in Black, Cherry, Cottage Oak, and White finishes.